Waste comes in all forms from garden to commercial and domestic, and over time it gradually increases and if not kept in order, can get out of control. It is easy to hoard junk and then discover you really need it clearing out, to make more room. Nowadays, there are restrictions of dumping rubbish, so you need to get rid of it in the correct manner. Our Kenton waste collection company follows the correct procedures and do it legally with the correct paper work and documents. It is our belief that when it comes to clearing services that you want a name you can count on, so speak to us today on 020 3540 8282 for more information. Hire professional waste clearance services in Kenton, HA3 to receive assistance with all of your waste. Handy Rubbish can help with rubbish disposal in HA3, waste removal in Kenton and more, just contact us and ask for more information. 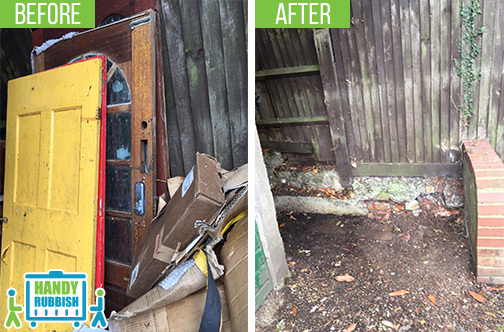 We are professionals and can deal with all types of Kenton rubbish removal from house waste to garden and commercial. Nothing is too much for our enthusiastic team. We will completely clear out what you don’t want or need anymore. Call us now and ask for more information about our services 020 3540 8282. Having a tidy up will make some room, but also certainly mean a lot of waste to dump. Hire a HA3 rubbish company to arrange for the correct waste services to deal with your rubbish. We can arrange a service to suit you. Handy Rubbish are an established company, so our experts know what to do. We are highly-regarded and will save you the chore of finding the right solution to remove various items. Just make sure you have separated what you want to keep and what to get rid of. We can deal with the rest. Our professionals will move the remaining load, and dispose of it properly. This saves you the pressure of finding the right option, so just call our polite and helpful office staff. If you find yourself with too much stuff, then call us now and let us handle it. Our representatives will arrange to call and go over what you want to remove and we can work out the best method to clear away your waste and rubbish. Our Kenton waste disposal specialists use the most effective processes and in the most environment- friendly ways. We recycle and reuse what we can, for the benefit of cost and the planet. Our services are guaranteed and our costs –affordable, so make sure you book an appointment now 020 3540 8282. We choose Handy Rubbish. Because they are fantastic. They work very well. We shall continue to engage them in all junk collection projects in Kenton. God bless you. Had so much rubbish to deal with after construction work in Kenton. They offered the solution to all my problems and provided me with a cheap and top tier waste removal service in HA3. It's just the right choice! 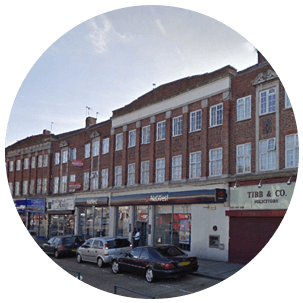 Kenton is an area in North West London and is part in the area of Harrow and in Brent. The main postcode is HA3. It is a stunning hamlet and located in a lovely area. Today it has lovely mansions, and residential areas and ample facilities. Kenton was originally recorded as far back as 1232, and known as Keninton, a personnel name which means the farm of Coena, a family who lived near the area. Up to the 20th century, it was a tiny area and mainly concentrated in Kenton Lane, to the east. The main road through the hamlet is Kenton road. Kenton railway station was opened in 1912 and this increased the development of the hamlet, so it became a lovely picturesque place to dwell. The area is well-known for its public houses, residential areas and good schools. The Plough was the first public house and opened in the 18th century. Today a modern Indian/ Chinese restaurant called Blue Ginger stands in the same location, but not in the same building. The Windermere is on Windermere Avenue and built in 1938, is a grade ll public house with a historic interior.